Brewer Science is quadrupling its research operations at Missouri State University’s Roy Blunt Jordan Valley Innovation Center (JVIC) located in Springfield, Missouri. From its founding, Brewer Science has put a premium on creativity and innovation. Looking to get rid of any of your electronics, appliance, or tires that are lying around? 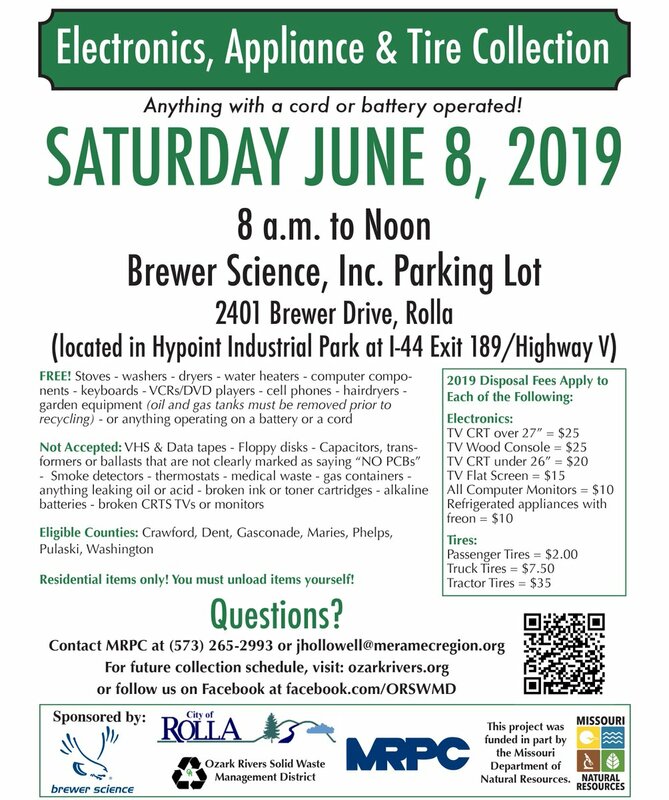 Stop by our headquarters on June 8th for our annual Electronics, Appliance, & Tire Collection.